one week; a case of “oh, that looks too good to pass up” again and again. Part of the problem is that the season is just too darn short. 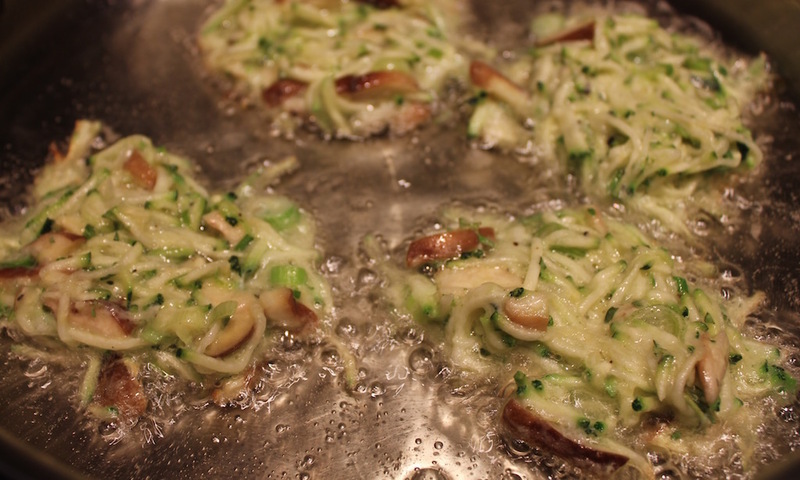 To use up the plethora of zucchini, I’m making Zucchini and Shiitake Mushroom Pancakes. 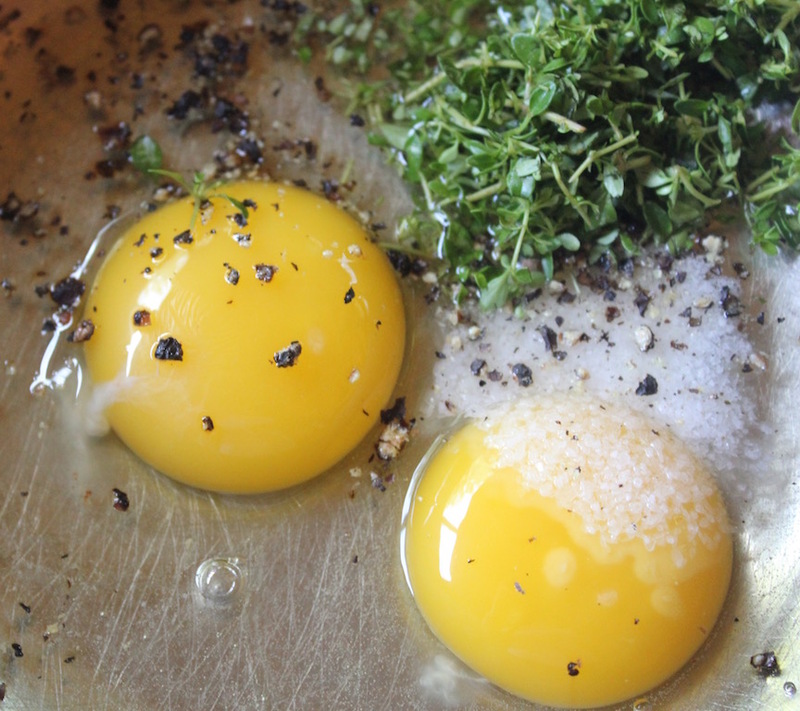 Beat eggs, thyme, salt and pepper in a large mixing bowl. 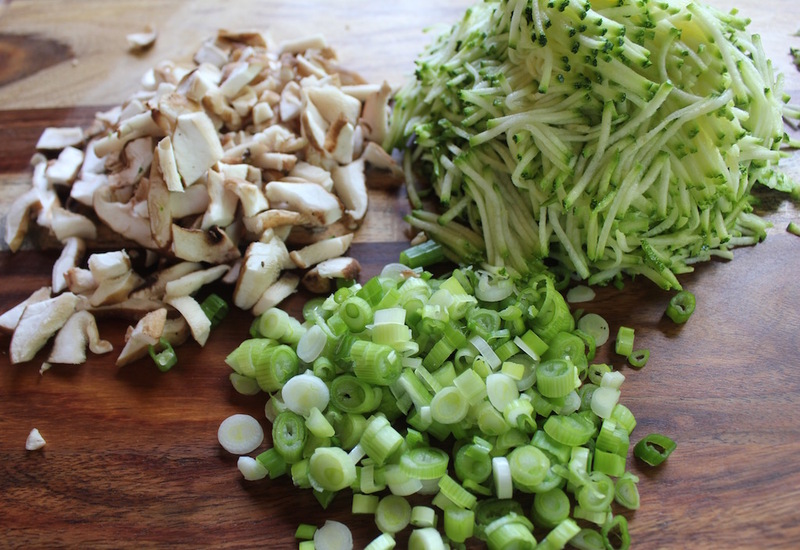 Stir in the zucchini, mushrooms and scallions. Sprinkle the flour over the vegetables and toss to combine. Pour enough oil in a large skillet to cover the bottom of the pan. 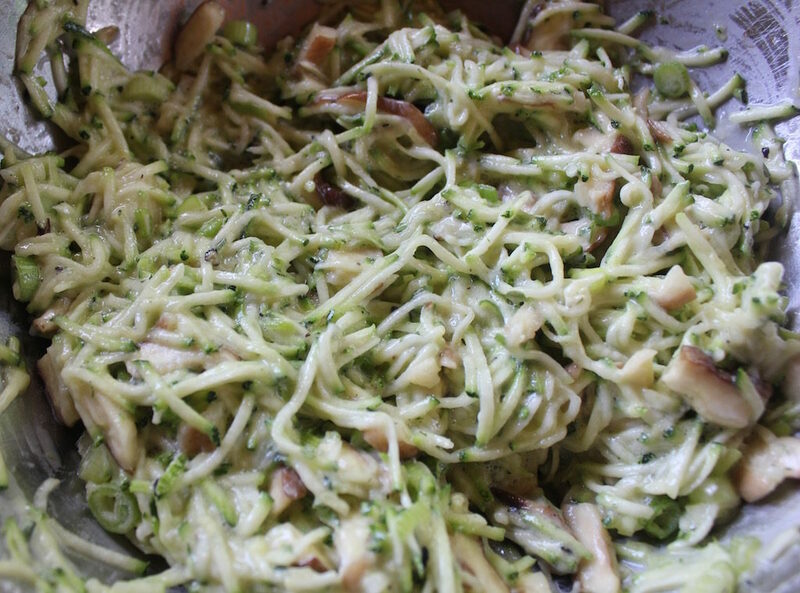 Heat the oil over medium-high heat and once the oil quivers, drop 1/4 cupfuls of the zucchini mixture into the hot heat. Press the top to flatten slightly. Cook for two minutes, turn and cook for another minute or two. Remove to a paper-towel lined board and sprinkle lightly with sea salt. Serve immediately. These can be made in advance and refrigerated or frozen and reheated in a 300ºF oven for 3 or 4 minutes, a little longer if frozen. Copious amounts of produce fill farmers markets and have found their way into your refrigerator. 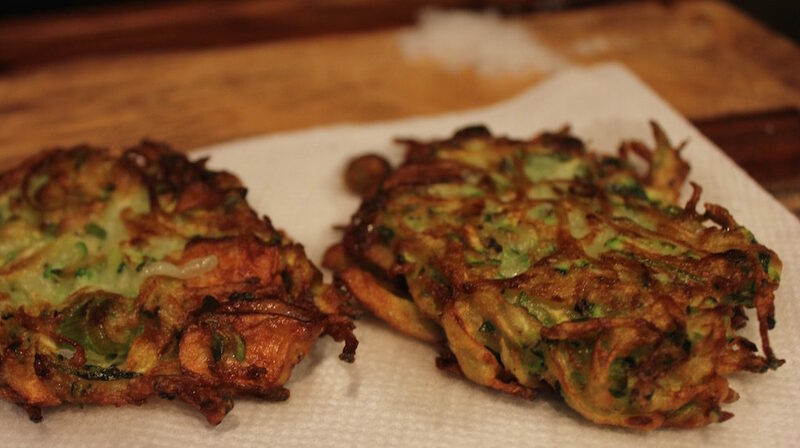 Make zucchini and shiitake mushroom pancakes for dinner. Beat the eggs, thyme, salt and pepper in a large mixing bowl. These can be made in advance and refrigerated or frozen and reheated in a 300ºF oven for seven or eight minutes, a little longer if frozen.